Chinese steamed stuffed vegetables are a lighter alternative to steamed dumplings. Steamed stuffed vegetables are similar to dumplings in that they involve a similar filling. But instead of being wrapped in dough, vegetables are used instead, making them healthier and less heavy then dumplings. 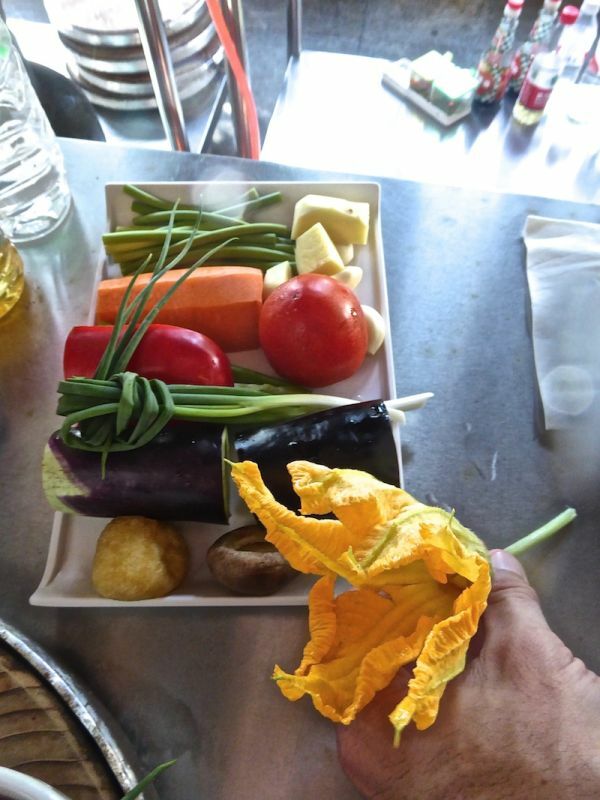 A variety of vegetables can be used including pumpkin flowers. 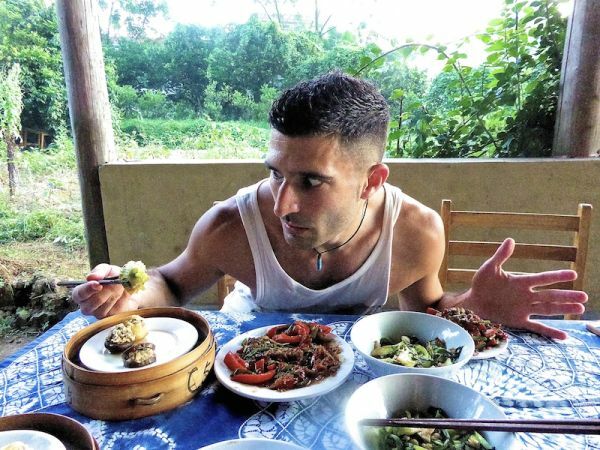 We learnt this recipe from the Yangshuo cooking school and used shittake mushrooms, tofu and pumpkin flowers. Mix the mince, onion and oyster sauce together. Stuff roughly a teaspoon amount of mince into each vegetable (if using pumpkin flowers first cut off stalk at an angle, place stuffing in the flower, push flower petals into stuffing centre one by one overlapping each other then use stalk to pierce through the middle and hold them closed). Steam on high heat for 15-20 mins in a steaming basket. You know when it’s ready when juice starts to form around the top plate in the steaming basket.